Remember how easy is was to make friends as a kid? Up until adulthood, you are constantly put into communities where it is easy to make friend. Between classes, sports, extra curriculars and residents’ halls – you have an automatic community of like-minded people to make friends with. Start small with people you know. Invite your coworkers to join you after work for an activity, reach out to acquaintances or get to know friends’ friends in the area. Join an alumnae group. 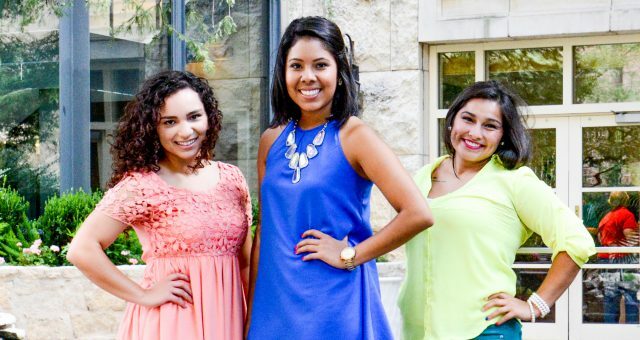 Obviously, Alpha Sigma Alpha will always be there for you and it is easy to find alumnae chapters and associations in any city, but this goes for universities too. Many universities have alumni groups all over the county. Volunteer. Volunteering is a great way to kill two birds with one stone – not only do you get to spread kindness, you meet others with similar interests. Introduce yourself to your neighbors. If you live in an apartment complex or community that holds event, go to them. Use your online community. Apps like Meetup.com, Bumble Best Friend, Supper Club, City Socializer are a great way to meet a lot of new people quickly, who are also looking to make new friends. Sign up for a team sport or running club. Almost every city has some sort of sports league that is a great place to meet friends. If team sports are your thing, think about joining a gym or yoga studio. If you go regularly, you’re likely to see familiar faces. No pain, no gain has a double meaning here. Take a continuing education class. Now is the time to take that French, cooking or art class you’ve always thought about – you might just meet a new friend in the process. At the end of the day, the best thing you can do is put yourself out there and be yourself. You can’t meet new people if you aren’t putting yourself out there but don’t change who you are to make new friends. The truest friendships are built on both parties accepting each other for who they are.